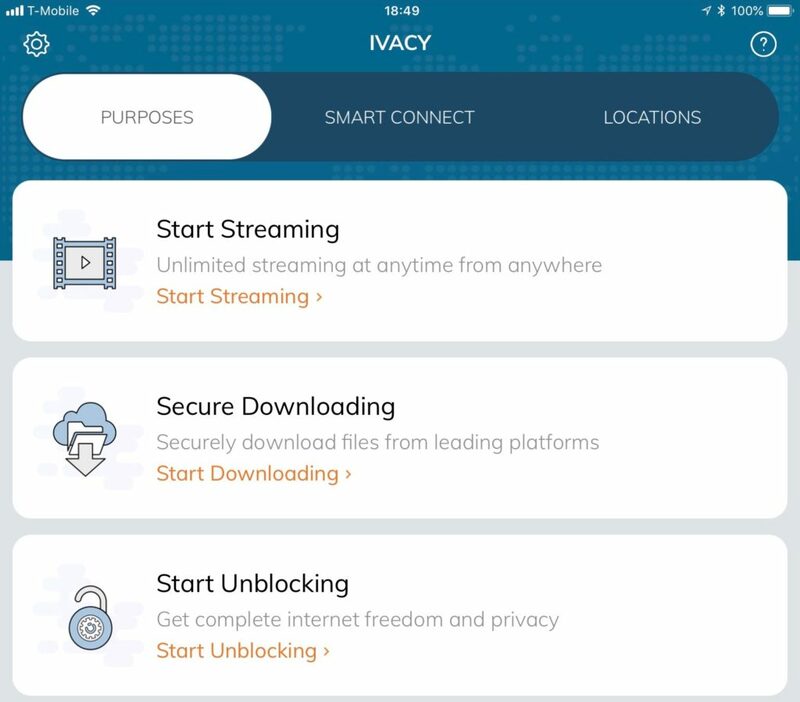 Ivacy VPN – Why Choose an Inexpensive Solution? VPNs have been around for a while know and we all know we should be using them to protect our privacy and secure our Internet connection, but, it is difficult to decide, with so many companies to choose from, which one is the best choice. I ran into the same problem when my current VPN subscription ran out: should I mindlessly renew for a year or search for a better deal? All VPNs will slow down your Internet connection because they require encryption/decryption of information and they add additional devices and distance between you and the destination website. Don’t let a flashy website and clever copy writing on a VPN provider’s website confuse you, in the end the only thing that matters is, if you enjoy the service and if it does what YOU need it to do. What would be the point of paying for a VPN you won’t use because it doesn’t have servers where you need them or it is so slow that instead of getting your banking done you are watching a spinning beach ball? Ivacy’s Terms of Service are relatively short and easy to read. They prohibit illegal activities, such as, and I quote: sending spam, scanning for open proxies, port scanning or open relays, sending opt-in email, unsolicited email or any type or version of email sent in large quantities even if the email is ultimately sent off of another server. It sure looks like as if they really hate spam! They guarantee that their service will be available 24×7, except when it is not, service speeds, quality, and locations may vary. While I am not 100% sure what exactly they mean with ’locations may vary” their terms are pretty clear about not wanting customers from most African nations, except for South Africa, because of fraud. Needles to say, whatever harm should be bestowed upon you because you are using their service, you are on your own. Ivacy has apps for Windows, Mac, Android, iOS, Linux, Blackberry, SmartTV, Ipenelec, routers, game consoles and Kodi. Their website has setup guides in case you prefer a more manual approach. 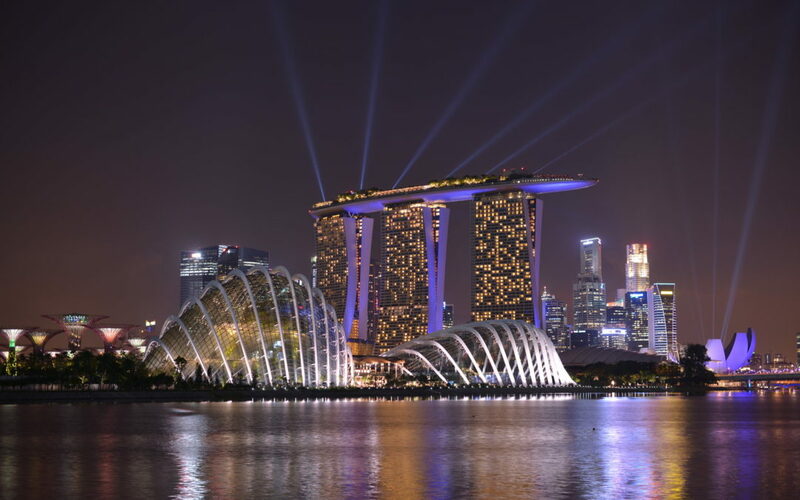 Ivacy offers a multitude of protocols to choose from, PPTP, SSTP, L2PT, OpenVPN and IKEv2. 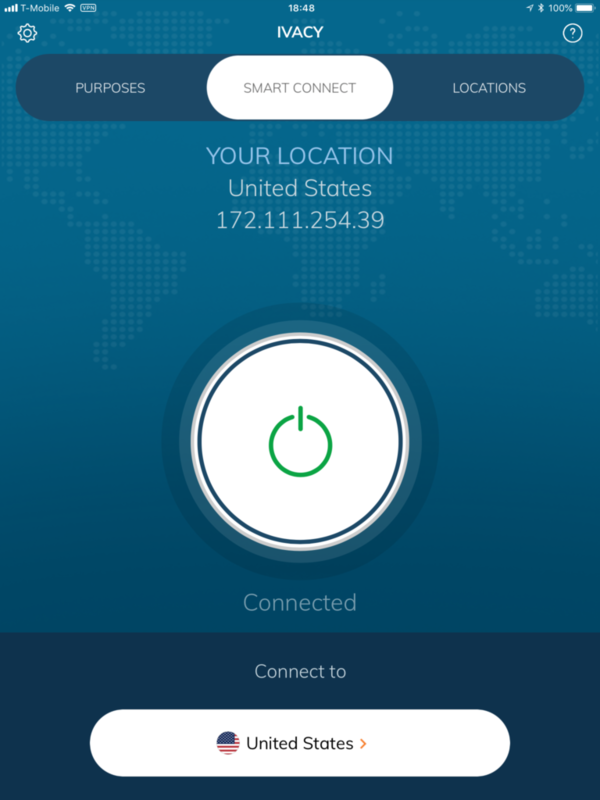 Setup is as simple as downloading and installing the app and entering your username and password, click on connect, nothing to it, just as you would expect from a VPN service in 2018. You can find instructions on how to setup the VPN manually on their website if you are so inclined. Ivacy states on their website that they have more than 450 servers in over a 100 locations, but who is counting? I installed Ivacy on my iPad and tested connection speeds using speedtest.net. The connection speed without VPN was somewhere around 110 Mbps download and 12 Mbps upload. To simulate normal usage I used my iPad and speedtest.net and measured both, connection speed without VPN (results as mentioned above) and the speed when connected to Ivacy VPN opting to allow the app to find the fastest server. I did this several times on my iPad throughout the evening and the results was the same, about 50/11 Mbps with a ping of 78 ms.
Bluntly put, that is significantly faster than many other VPNs I tested that night ; however, using my Mac Mini the results were slower, 17 Mbps down with about 10 Mbps upload, but even that is still sufficient to streamed Netflix and music without the slightest interruption. While it is certainly fun to compare connection speeds, it is also somewhat pointless, because there are so many factors influencing the result. The best way to judge the speed you are getting is to see if the service works for what you want to do with it, if so, great, if not, keep searching. More and more VPN services are now offering this feature, giving you the option to route only part of your network traffic through a VPN, allowing you, i.e., to connect to a networked printer without having to disconnect from your VPN. A few of the more noteworthy ones are dedicated customer support, optimized P2P servers, Smart Purpose Selection and secure DNS. 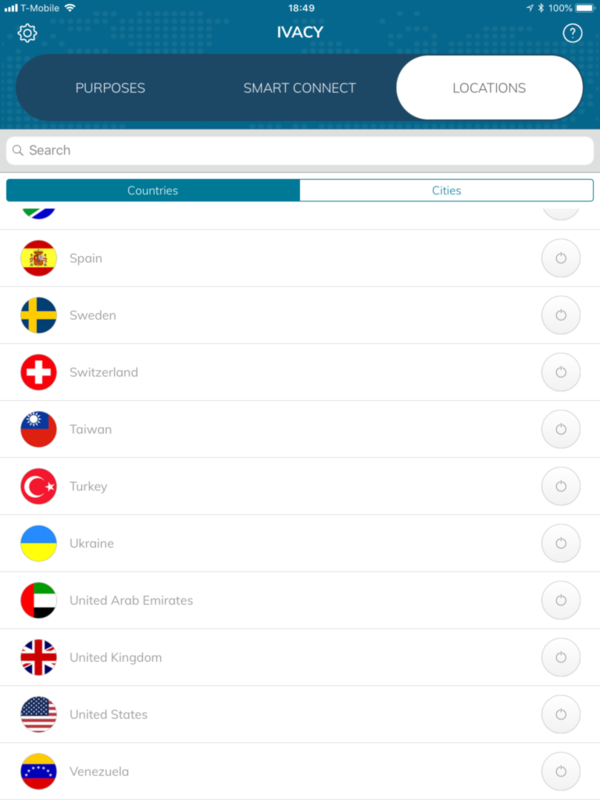 Smart purpose selection allows you to choose between Streaming, Secure Downloading and Unblocking of region restricted websites before connecting to Ivacy VPN with them optimizing the settings for you. Secure DNS refers to Ivacy directing your DNS requests to their servers rather than using insecure third-party servers. Overall, Ivacy is offering a solid product that works (For full disclosure, we couldn’t get it to work in China, so if that is important to you, VyprVPN is a better choice). Ivacy has plenty of servers, works on pretty much every device you throw at it, is easy to set up, has the speed you need to watch movies and doesn’t keep logs. If that isn’t enough for you to give them a try, Ivacy VPN is also very inexpensive, not just for the service you are getting but compared to just about any other provider out there! For a special offer click this link to save you some money and help us keep the lights on, or go through a non-affiliate link if you so prefer.